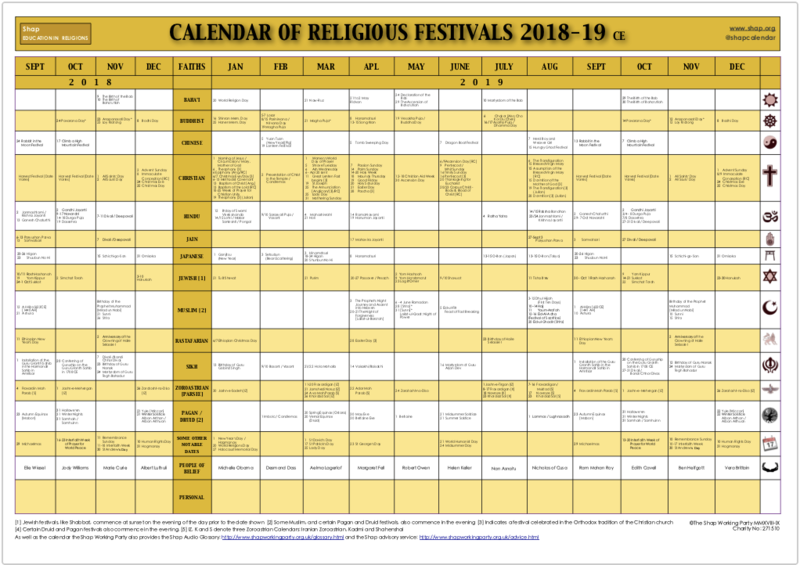 The Shap e-calendar of Religious Festivals, featuring dates and descriptions of festivals, along with the photography of David Rose, is an invaluable resource for the teaching profession, students, businesses, chaplaincies, those in health care and public services. The A2 wallchart is perfect for the office wall or other public spaces where quick access to information and planning are needed. The eCals and Wallcharts for 2019-20 will be available from mid July 2019. If you are keen to place an order you can do so before this on the calendar page but the items will not be available until July. Jubilee: The Shap Working Party is changing - more more details see this page.